Singapore: Regardless of whether or not she wins Sunday's final at the WTA's end of season championship, 2016 has been an unforgettable year for Dominika Cibulkova. Runner-up at the Australian Open in 2014, the Slovakian has been beset by injuries and rotten luck ever since but a change in fortunes and some old fashioned resilience have combined to give her a shot at one of the biggest prizes in women’s tennis. On Sunday, she faces off against the world number Angelique Kerber for the Billie Jean King trophy, rounding off a remarkable year for the 27-year-old who slipped down the rankings to 66th in the world in February. 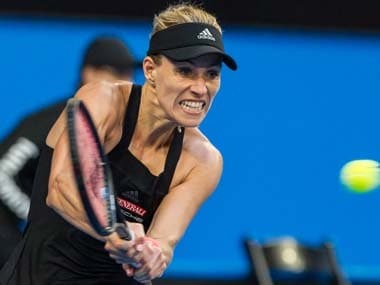 Few people gave her any chance of making the final after she lost her first two round-robin matches, including an opening clash against Kerber last Sunday. 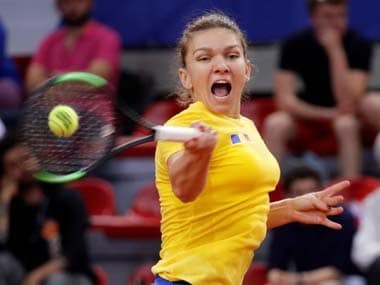 To move on, Cibulkova needed to win her third match against Simona Halep in straight sets and rely on Kerber beating American Madison Keys in two -- which she duly obliged. Her reward was a semi-final with Svetlana Kuznetsova, one of the form players of the tournament. After losing the first set, Cibulkova rebounded to win 1-6, 7-6(2), 6-4 as the Russian ran out of steam. "It's a lot of positive emotions. You know, I was just extremely happy that I won today," Cibulkova said. "Tomorrow I will go there and just want to win." That has been her motto ever since she came back from an Achilles injury which sidelined her for several months last year. But since then, the diminutive player dubbed the Pocket Rocket has made an extraordinary return. Starting the year ranked 38th, she fell further behind, then spent most of this season clawing her way back to the top surprising even herself. She was so sure she wouldn't make the final at Wimbledon this year that she booked the same date to marry her fiance Miso Navara. She almost postponed her nuptials when she made the quarter-finals but a rare welcome loss saw her make it to the altar on time. Earlier this month, Cibulkova won the Linz Open to qualify for the WTA Finals, reserved for the top eight players in the world. The WTA recognised her achievements by naming her as Comeback Player of The Year. "After the injury I have to say it was really hard," she said last week. "But, you know, I had just one big goal: to come back. I did everything for it. "When I get tired I have these moods. Sometimes (my husband and my coach) get on my nerves much more. "But that's our life," she added.